YooHoo and Friends will be participating in the Pet Event. This is some information about Y&F, and also information about their current contest. Aurora created YooHoo & Friends to teach children about animals (many endangered) and the environment from which they came. This will be the only giveaway in the event not directly pet related, but this will be the giveaway to represent animals all around the earth. Pico Rivera, CA – April 12, 2010 – Toy and gift manufacturer Aurora World Inc. has launched a brand new web site for its best selling brand, YooHoo & Friends. The free, interactive virtual world at www.yoohoofriends.com requires no activation code and is targeted to children 5 to 12 years old. At the web site, visitors can learn about real animals and their environment, play games, send e-cards, download wallpapers, calendars and coloring sheets, as well as adopt and raise YooHoo & Friends. Additionally, “Design YooHoo’s Next Friend Contest” entries are being accepted now; the contest runs through May 31st. The “Design YooHoo’s Next Friend Contest” encourages children to submit drawings of who they think YooHoo’s (the original character from YooHoo & Friends) next friend should be. Every entry, such as the “pouch rat” (pictured left) is posted on the Facebook fan page. Three winners will receive various prizes including plush toys from the YooHoo & Friends line. Winners are chosen based on creativity (50%), colors (30%) and choice of animal (20%) and will be notified by June 15, 2010. Aurora encourages fans of the brand to join them on Facebook and Twitter to see the submission and be the first to get updated on product news, events, and freebies. Aurora is committed to providing a safe Internet environment for kids and will never distribute personal information to third parties. The website is COPPA (Children’s Online Privacy Protection Act) compliant. 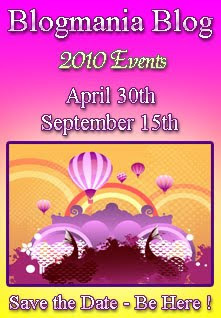 For more information, please visit http://www.yoohoofriends.com, email info@auroragift.com or call 888-287-6722. Aurora World, Inc. (www.auroragift.com) is a leading manufacturer and supplier of high quality, competitively priced plush toys and gifts. Aurora’s name reflects its extensive product lines and growing influence in the worldwide marketplace, as well as its international manufacturing, R&D and distribution resources. Founded in 1992, the U.S. company has ascended quickly to become a respected leader in the world’s toy and gift industry. Aurora created one of the nation’s best selling plush lines - YooHoo & Friends™ - and its corresponding free, interactive web site (www.yoohoofriends.com), appealing to young children and tweens alike. The company sells its products via a wide variety of retailers including major zoos, high-end toy stores such as Learning Express, top gift chains such as Hallmark and Claire’s as well as hospital gift shops, fine florists, candy stores and gift/stationery stores worldwide. thats great! ill check it out! Wow, this is super. What an awesome way to teach children. Thanks for sharing.